Car Buying Advice - 2017 Explorer Sport Lease- good deal? My sales guy is out today(of course), I asked for price the deal is based on, but it seems like there was a significant reduction to get to 521.00 with taxes/ fees up front. Curious if you could calculate what my sales price should be based on these numbers. I am in NY. Thanks in advance, you provide a valuable service for us novices! 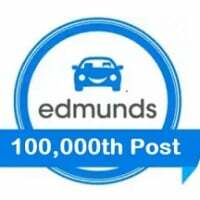 Hi @jfischetti Thank you for reaching out to Edmunds. I'll be happy to help! I'll do the best I can based on the information here. The residual is 54%. The Money factor is 0.5%. Looking pretty good so far. Ford also has $3,750 worth of lease rebates as well. Our Edmunds TMV is a little over $3,000 off the MSRP, or a grand below invoice. In total, I'd like to see $6,750 off the vehicle. Based off of everything, I'd say you're within this area, or at invoice, which is a grand more. Of course, the dealer should be able to tell you, even if the salesman isn't there. This deal looks solid, but I'd find out from the dealership to see how their math aligns up with mine, and if there's any additional room for negotiation! Let me know what they come back with, and if you have any questions! One suggestion - in NY, we suggest you limit your up front cash to just the first payment and DMV costs. Add the sales tax and fees to the selling price. You'll have a higher payment, but less risk with the cash. If the car is stolen or totaled before the lease is up, you won't get a refund of the unused portion of those taxes and fees.